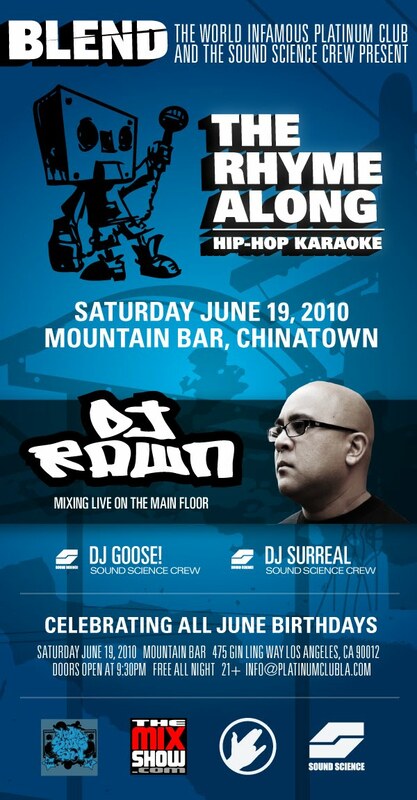 This Saturday, I will be at Mountain Bar once again. This time, DJ Goose and I will be opening for DJ RAWN. I remember listening to Rawn on Power 106 and rocking out to his "aquanet" set. I was into break dancing back in the day so I would record some of his funk mixes and would practice on them. Not sure if I still have those tapes, but thinking about it definitely brings back some windbreaker memories. haha.